This project was conceived 12 years ago by Peter Ramsay BEM, then President of the Vietnam Veterans Association of Australia (WA Branch Inc). Several attempts to get the project underway have been made over the intervening years but due to a myriad of issues, chiefly because of other events at ANZAC Cottage, did not go ahead. Once the Centenary of ANZAC Cottage in 2016 had been done and dusted the project was revived through the Friends of ANZAC Cottage and once funding was secured through the City of Vincent, Rosewood and Bendigo Bank, North Perth Branch and with in-kind support from Mount Hawthorn Primary School and the New Zealand and Australian Defence Forces, the project has become a reality. The project involves refurbishment of the existing bus stops on Kalgoorlie Street and on ANZAC Road to reflect the ANZAC Cottage story. The Kalgoorlie St bus stop will reflect Gallipoli as the Cottage was built as a memorial to those who lost their lives at this landing. The ANZAC Road bus stop will reflect Nui Dat reflecting on the efforts and dedication of the Vietnam Veterans Association of Australia (WA Branch), which led by Rob Cox OAM and Peter Ramsay BEM in the 1980s and 90s, restored ANZAC Cottage to its former state thus saving the Cottage from imminent demolition. It is worth noting that Nui Dat was the base for ANZAC troops in Vietnam. Artist Drew Straker has provided concept designs for both of the bus stops.. Drew will paint these murals onto metal sheeting that will be attached to the existing structures. To explain, the ‘sandbag’ component is not as easy as it seems and the Friends have contracted the New Zealand Defence Forces and the member of the NZDF who oversaw and implemented a similar project in New Zealand to undertake this complex procedure. The Friends have applied for funding to bring this gentleman to Perth, along with accommodation and meals and he will be able to apply his knowledge of the execution of this part of the project. He will be assisted by labour and assistance from members of the Australian Defence Forces. 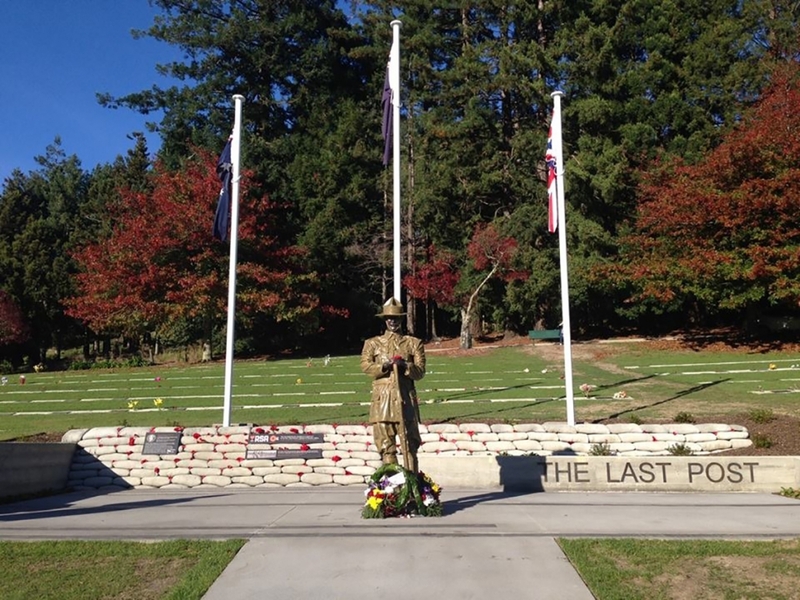 It is this collaboration that makes the project a true “ANZAC” project and has strong connections to the fact that the project is due to be launched in 2018 , the centenary of the Armistice. ‘furphy’ became a popular term for ‘rumours’. Biff To hit or punch. Birl To ‘give it a birl’, a fair trial; sometimes a suggestion that a certain proceeding has gone far enough. Possy Abbreviation of ‘position’; place; dug-out; home. 6/– a day tourists used as a term of derision for the privates of the A.I.F., particularly to the volunteers of 1914, because it was alleged by some that they expected the war to end before they could be fit to take the field, and therefore enlisted merely for the pay and opportunity to travel. Crool the Pitch To spoil a chance, or the further exploitation of some enterprise. ANZACs in Vietnam: The 2nd, 4th and 6th Battalion of the Royal Australian Regiment were, for the Vietnam War, renamed as ANZAC Battalions, eg 6 RAR/NZ ANZAC Battalion, with an Australian Commanding Officer and a New Zealand Second in Command. Each battalion had an Infantry Company from the 1st Battalion Royal New Zealand Infantry Regiment(1RNZIR) based in Terendak Camp Malaysia attached for the Tour of Duty. The Companies were named either Whiskey or Victor, there were three Whiskey Companies and six Victor Companies who served with the Australian Battalions. Not every Vietnam Veteran has the privilege of being an ANZAC only the Australians and New Zealanders who served with these Battalions. Vungers: Refers to Vung Tau the port where Australians disembarked and embarked from or too the Vung Tau Ferry.